Here in the USA we stop and reflect this weekend on those who have paid a price for us to live in a land where we are free. We are free to live, free to love, free to make our own choices. All because of sacrifices made. But if we are truly honest with ourselves we often spend less time thinking about our freedom and more time thinking about the menu, who’s coming over and where we will go watch fireworks. In fact we may even be nervous about those choices ahead of us! You’ve been working hard, living out your healthy eating plan, but you’re worried about your will power over this holiday. You’re worried about that relative that may comment on your self-denial or try to sabotage you with passive aggressive comments. Worried about the unhealthy foods that you know you shouldn’t eat because of the goals you have set. This weekend, don’t let the enemy steal your joy or your freedom because of food. Set a plan so that you will have success. Focus on loving those well around you, enjoy your families, and remember why we can celebrate. 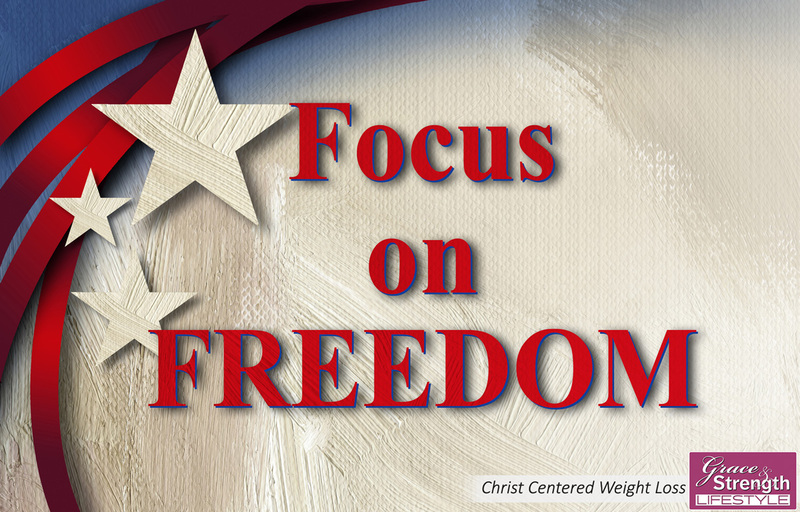 Jesus paid the ultimate price for our freedom, and now we have the freedom to walk in Him with our choices.